We have another double whammy today! Hero Spotlights for Rufio and Avalon of Art of Conquest! 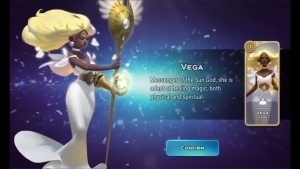 Today we have a double feature for Art of Conquest: Hero Spotlights for Avril and Vega!